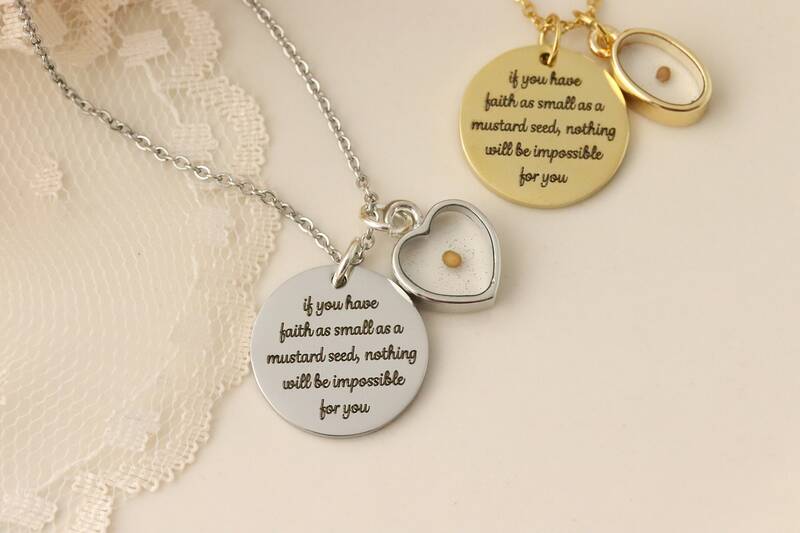 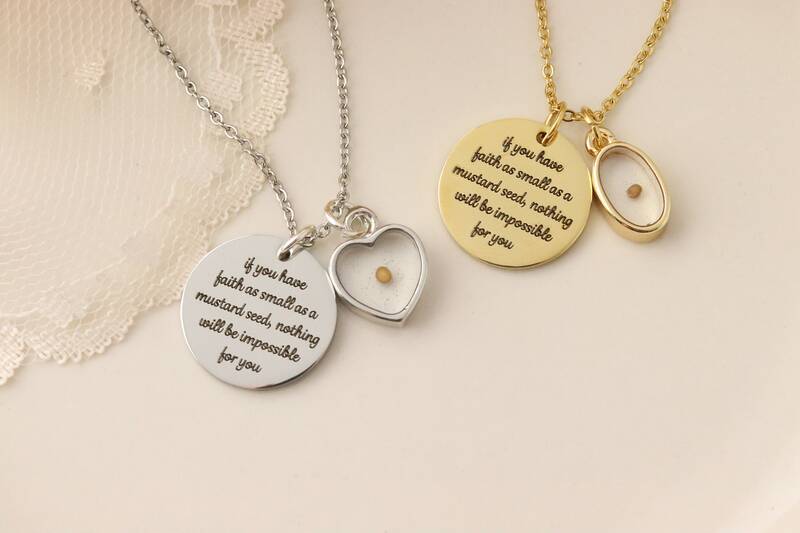 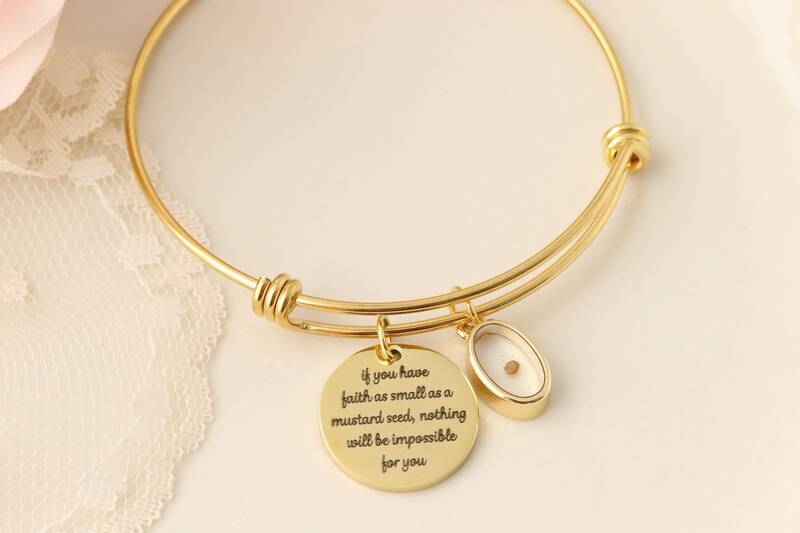 A subtle, inspirational reminder, these silver or gold mustard seed necklaces are the perfect gift! 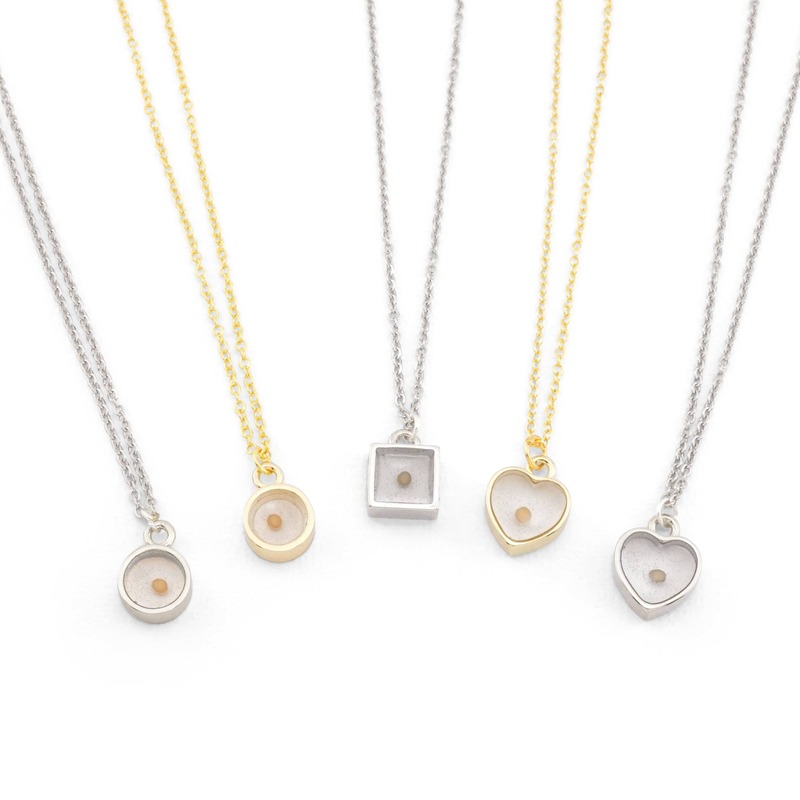 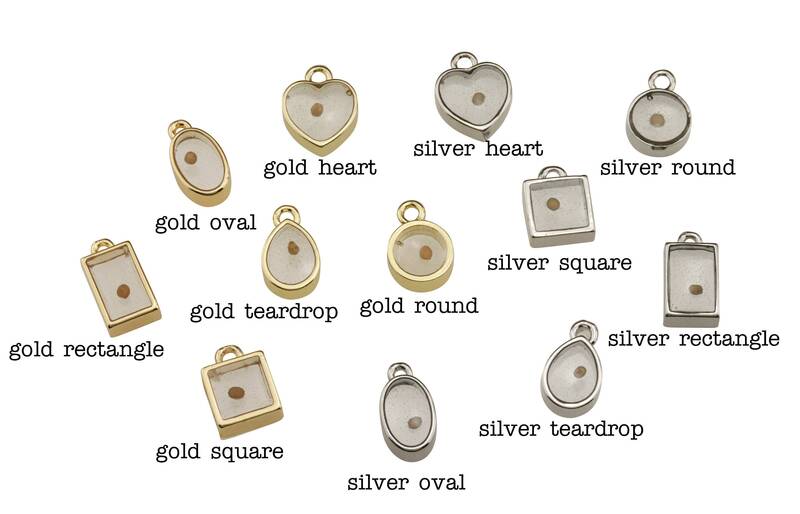 The tiny, genuine mustard seed is carefully preserved in a clear, non-yellowing resin set in 5 different settings: a silver circle, a gold circle, a silver heart, a gold heart, or a silver square. 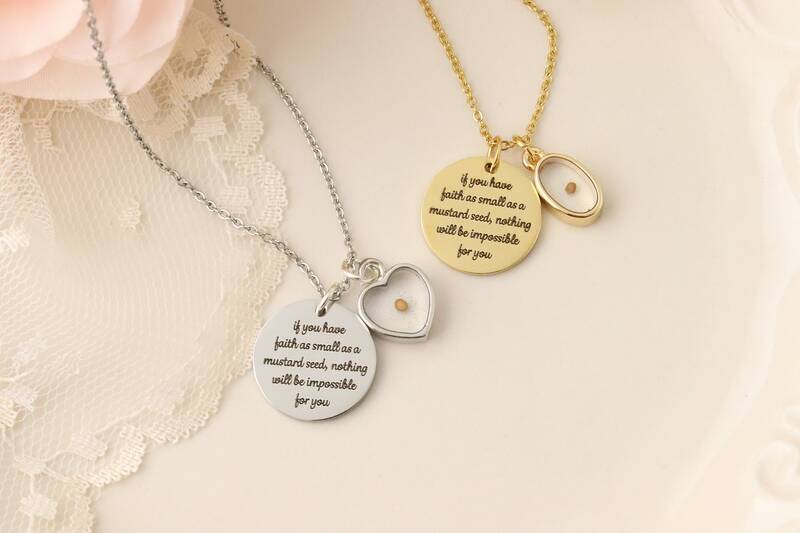 Each necklace will come on a matching 18" chain with lobster clasp closure.